Viral, fungal or bacterial infections, airborne irritants and vaccines are possible causes of excessive sneezing in cats, states WebMD. Excessive sneezing sometimes occurs due to a nasal passage blockage, an infection in a tooth root or, in rare cases, cancer. Viral infections, such as the feline herpes virus and feline calicivirus, often cause cats to sneeze excessively, explains WebMD. Both of these illnesses are acquired from other cats. The most common symptom of feline calicivirus is mouth ulcers, but it sometimes spreads to the respiratory tract and may cause pneumonia. Fungal and bacterial infections, such as feline infectious peritonitis, sometimes cause excessive sneezing as well. Exposure to irritants such as cigarette smoke, dust or perfume is another reason why a cats may sneeze excessively, says WebMD. 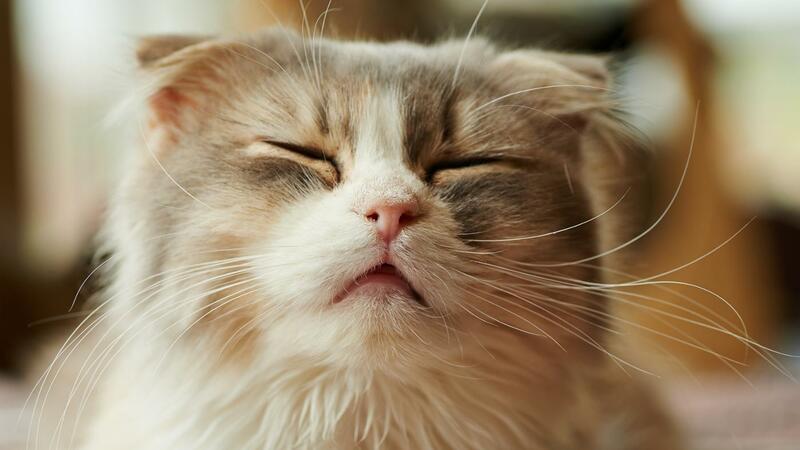 Allergies to dust, pollen or mold sometimes cause a cat to sneeze as well. Additionally, some cats sneeze a great deal about four to seven days after receiving an intranasal vaccine. If a cat appears well and is sneezing only occasionally, it is usually not cause for alarm, WebMD explains. However, if the cat appears sick or has a fever, eye or nasal discharge, a decreased appetite or breathing difficulty it should receive care from a veterinarian right away. Doctors usually treat mild cases of excessive sneezing with a humidifier, but antibiotics, nasal decongestants, fluids and, rarely, surgery may be needed if the cat's condition is severe. What Are the Common Causes of an Abscess on Cats? What Are Some Health Questions to Ask When Adopting a Pet? What Are Some Causes of Seizures in Older Cats?